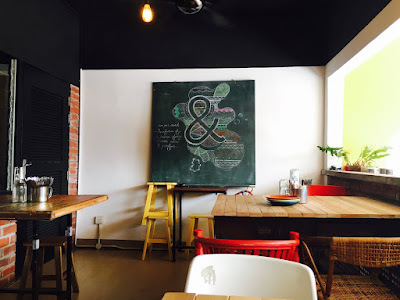 A beautiful and trendy cafe which was formerly known as "Ecole P". The creative-looking food that are served here are highly inspired by food rebels which promise to give patrons a one of a kind experience. Pop by to experience it by yourself today! You can opt for 3-4 pax for RM58 as well. Served with scrambled eggs, crispy grilled bacon, tomato relish, grilled mixed mushrooms, hash brown, double cooked potato, german bratwurst & homemade Lebanese bread. An environmentally friendly presented breakfast? 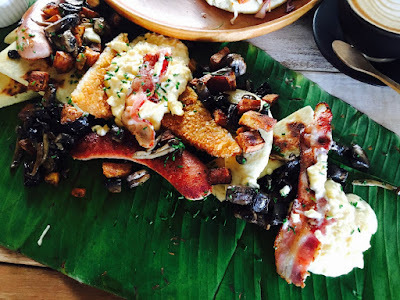 They serve this hearty breakfast on banana leaves. 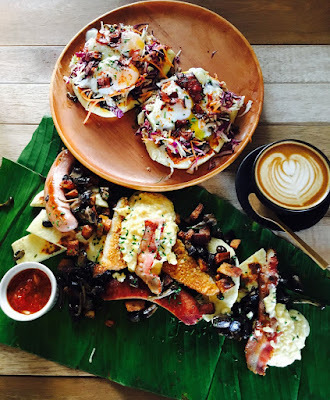 Every thing I love to eat for breakfast is served and it's definitely a great portion for two. Not forgetting to mention that the bacons were cooked to perfection! Yum. 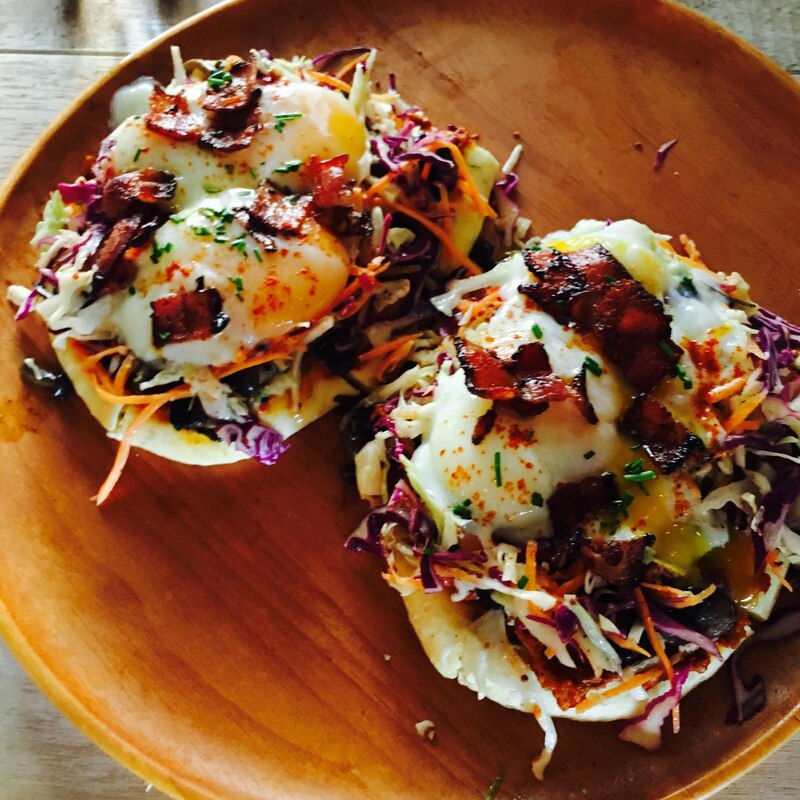 Served with homemade Lebanese bread, Balinese spicy sauce, vegetable slaw, mushrooms, sous vide eggs & bacon bits. Don't underestimate the portion, as the size of each bread is around the size of my palm. The balinese spicy sauce was quite odd for my liking especially when it's mixed with vegetable slaw.